Delivery from £5.30 to United Kingdom in 8 - 15 working days. 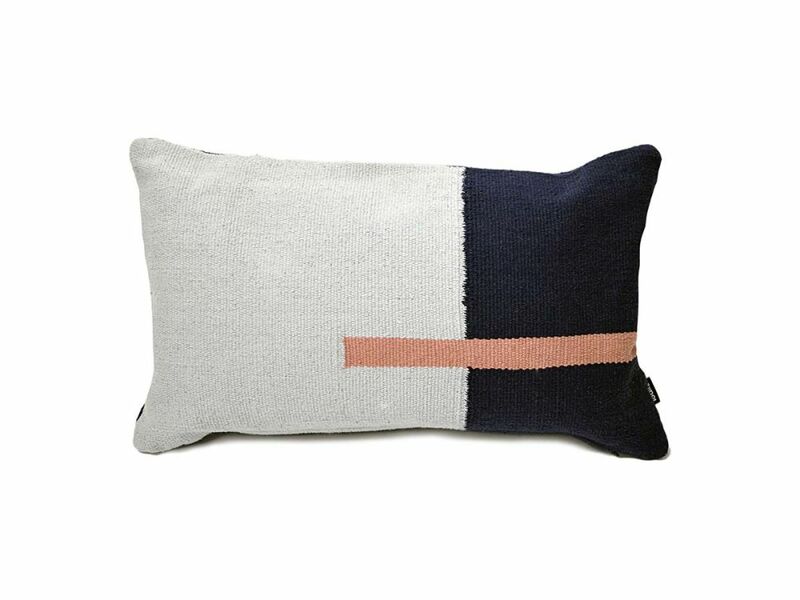 Hand-woven on the front and back, this cushion is inspired by ubiquitous floor coverings from the region that have been used since the 15th century in homes and wedding halls. Woven on 16 foot looms, the production process has several weavers throwing a shuttle across in a rhythmic movement. Like a dance. Easy to maintain, they can be hand-washed if necessary, and dry-cleaned too.